Description Crazy Go Nuts 2 packs even more squirrel blasting fun! Shoot your squirrel out of a cannon to collect as many nuts as you can. 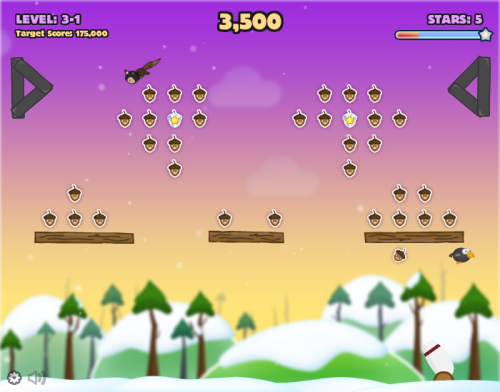 Collect stars, or hit birds and hidden baddies to boost your multiplier. You can even catch him on fire to clear out the board in one shot. Beat the target score to unlock more levels and progress. Controls Hit as many nuts as you can to earn stars. Fill up your star meter and start earning massive points. Look for birds or the big nut for extra bonuses. Use gems, clone nuts, and fire nuts strategically to maximize your score.